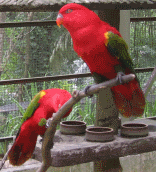 Historically,Penang Hill was cleared by Captain Francis Light to grow strawberries. 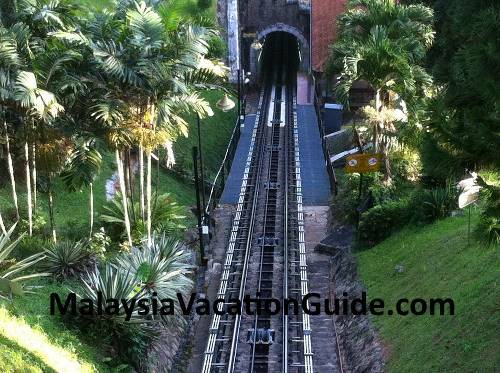 The official name of the hill was Flagstaff Hill (Bukit Bendera when translated into Bahasa Malaysia) but it is today commonly known as Penang Hill. 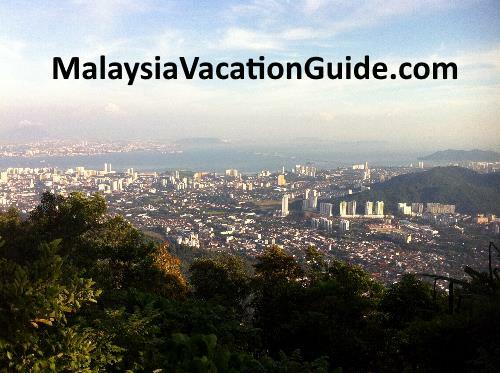 Known in Malay language as Bukit Bendera, this hill is the first hill station in Malaysia and is about 830 m or 2730 feet above sea level. The temperature at the peak is about 3°C to 5°C lower than the temperature at the hill below. Hence, this hill is an ideal place to escape the heat of the day. You can hike all the way up the hill or take the funicular train which has been operational since 1923. 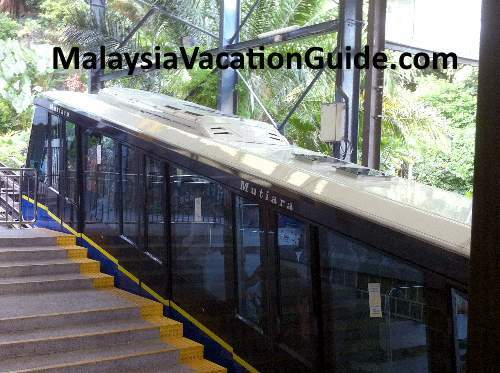 The old trains had been replaced by a RM73 million upgraded system which is now open to the public since 25 April 2011. It is able to carry a maximum capacity of 1,000 passengers/hour. If you plan to take the train, it is a good idea to go up during weekdays from Mondays to Fridays as it is usually crowded during the weekends. During school holidays, sometimes you may have to wait up to an hour to board the train. Going up during the night time will enable you to see the beautiful bright city below during a clear night. The scenery that you can expect to see as the train goes up the hill. Refreshments and snacks are sold at the tea kiosk on top of the hill. A hotel, police station and post office facilities are also located on the hill. Along the way up, you will see the lush greenery of the tropical rain forest and bungalows that were originally built for the British officials. There is a 11-room Bellevue Hotel that you can stay if you want to but many would prefer to stay at the beaches or city where there are more choices of hotels. 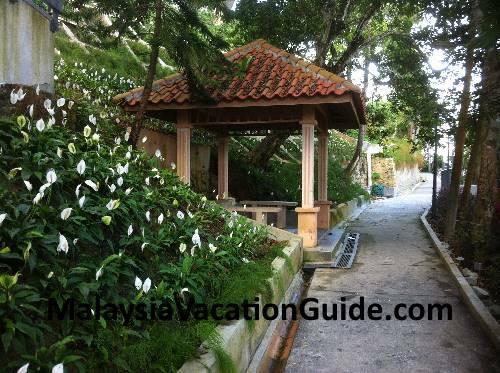 If you are one who prefer to hike, you can hike from Penang Botanical Garden at the Moon Gate all the way to the upper funicular train. 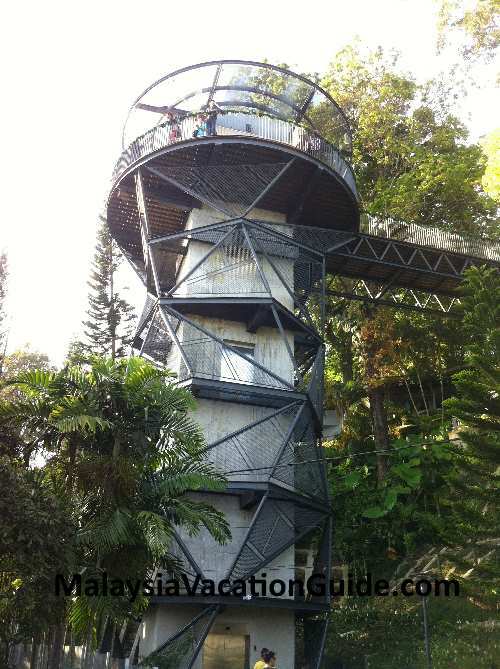 The total distance is 5.5km and it will take you about 3-4 hours to reach. It is better to take a guide along with you if you are not familiar with this trail. See the view of Georgetown from the observatory tower. Take note that the ticketing counter at the bottom of the station will close at 10:30pm. The fast lane is a priority lane where you get to board the train earlier compared to others. However, the tickets are more pricey compared to the normal lane. 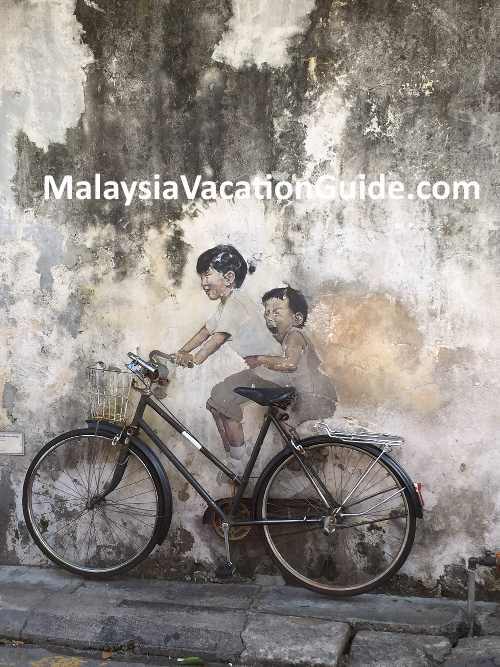 If you are a Malaysian and would like to enjoy promotional rates, come during non school holidays with your MyKad from 6:30am-9am and 7pm-10:30pm. You need to pay only RM3 for a return trip. Georgetown as seen from the hill. On a clear day, you could see the first bridge. 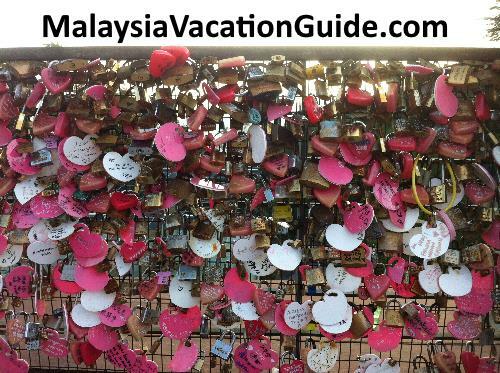 Love padlocks placed here by couples. If you are driving, go towards the direction of Air Itam. 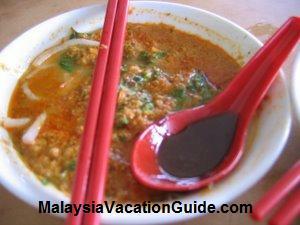 It is located near Kek Lok Si temple. There are parking bays available outside the main entrance to the station as well as the multi-storey car park. 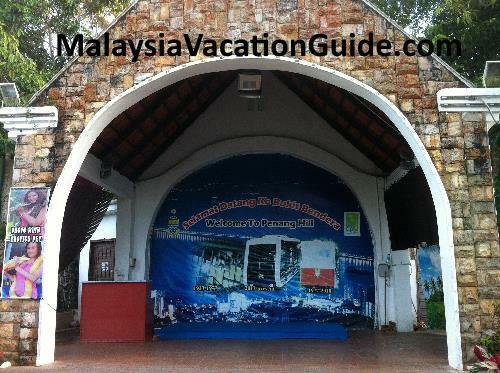 The Penang Hop On Hop Off double decker tour buses for tourists also stop here. These buses operate daily from 9am to 8pm with bus stop interval of 20-30 minutes. 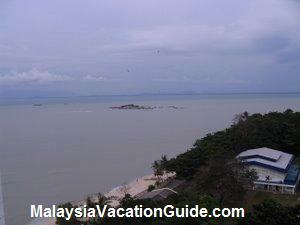 You can also take Rapid Penang Bus No. 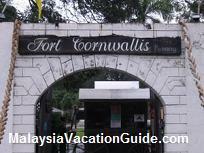 204 which will stop at the Jetty, Fort Cornwalis, Padang Kota, Komtar, Masjid Negeri, Padang Tembak, Kg. Melayu, Kg. Pisang and Bukit Bendera. If you are fit and would like to hike up the hill, park your car at Botanic Garden and start your hike at the famous Moongate. It will take you 2.5-3 hours to reach this hill. Along the way, you will be rewarded with the scenic view of the city as well as taking in the abundant of flora and fauna. Take the funicular train down the hill if you are too tired to hike down but you will have to find your way back to Botanic Garden at the foothill. 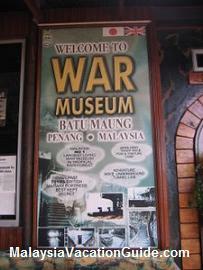 Address: Jalan Stesen Bukit Bendera, 11500 Air Itam, Penang.